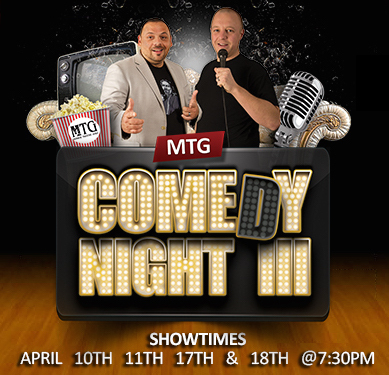 For the third year in a row, the Monroe Theatre Guild will be bringing you a stand up comedy show featuring local comedians and talent. Join us for a gut busting night of comedy! The show is directed by Adam Bansley and Chris Soukup, and also includes performances by Amber Ingvolstad, John Jewell, Josh Keepers, Bob Luchs, Natalie Scheppele, Steve Scheppele and Tashona Smith. Sam Laws joins the cast as the house MC. Showtimes are April 10th, 11th, 17th and 18th at 7:30pm.